In June, the InOrder Team is attending the IRCE, which is the world’s largest eCommerce event. 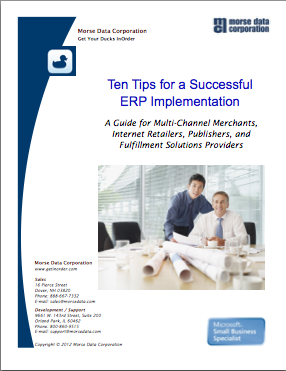 If you’re looking for a leading ERP system with a strong eCommerce platform, stop by our booth (#813) and ask what InOrder can do for you. If you’re in the Chicago area for the IRCE and you’re looking for good food, check out Tony’s list of places within a 30 minute drive of McCormick Place. 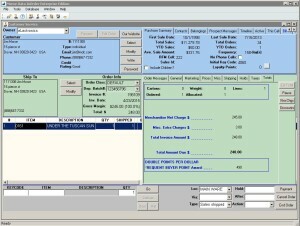 Call customers; enter orders, returns, and quote prices. Check loyalty points, subscriptions, order history, and more. See what your shoppers looked at. View customers’ website visits, Email that was sent to them, product reviews and other feedback. Compose and send a fax, mail, or Email using one of the Microsoft .dot templates to provide a more personalized service experience. InOrder provides your customer service reps with the information they need to engage with all your customers. Loyalty points, which show your appreciation, are available at a glance in Customer Service during order entry. Want to know the customer’s birthday? Check a custom tab. Need to jog your memory about yesterday’s conversation? Check the Timeline. Shipping, taxes, payments, it’s all here, right at your fingertips. Loyalty Programs give customers incentives to buy. They provide benefits for both your business and your customers by generating income and expressing appreciation to your customers. Companies from grocery stores to your local day spa use loyalty award programs to help keep customers coming back, increase sales, and improve customer engagement. 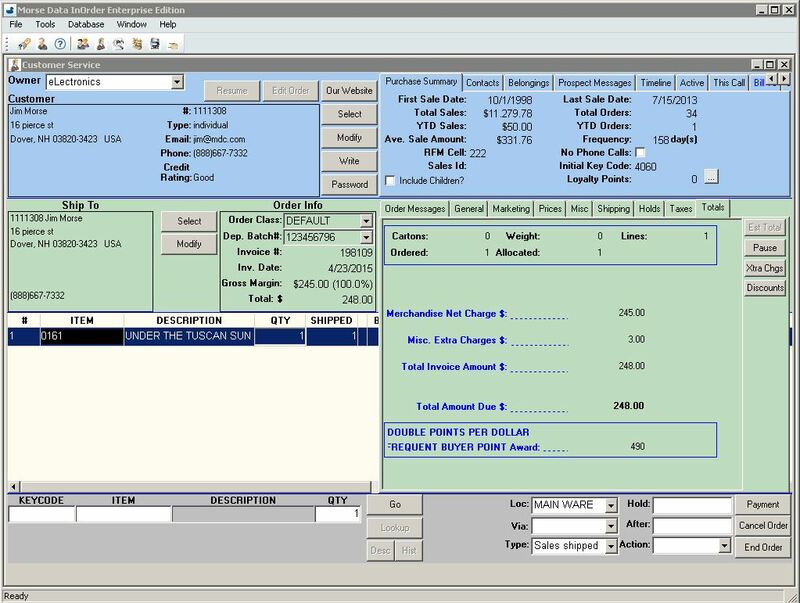 Two new reports, Loyalty Point Expiration Card and Loyalty Account Statements, have been added to the InOrder ERP Loyalty Program Enhancement. The Loyalty Point Expiration Card is used to generate postcards to send to customers when their loyalty points are nearing expiration. 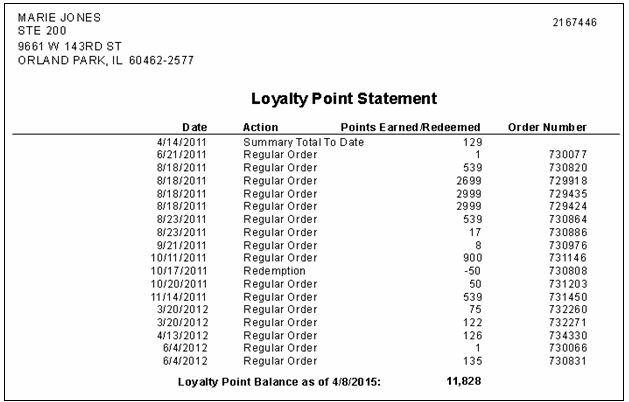 Loyalty Account Statements are generated with the customer’s loyalty point activity and balance. 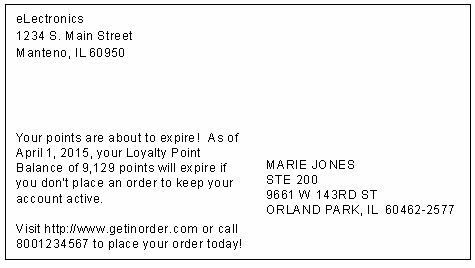 Contact us for more information about the InOrder Loyalty Program Enhancement. 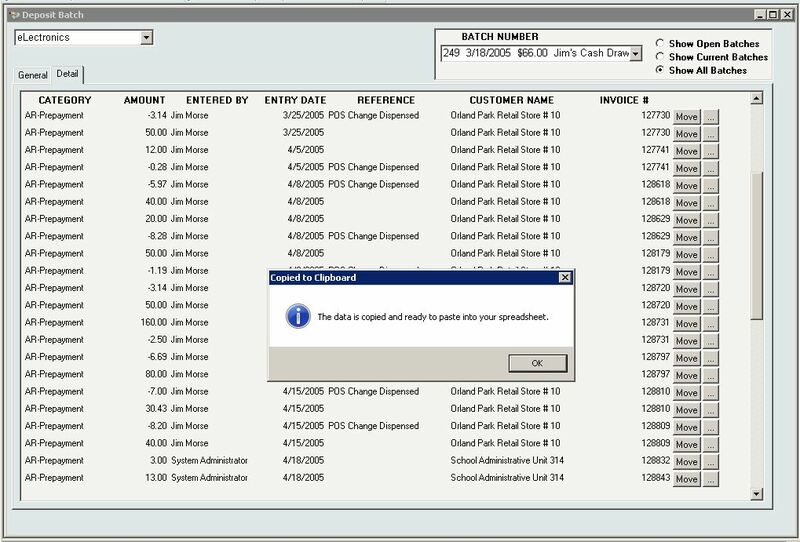 To allow users to quickly get deposit batch details to a spreadsheet, a copy/paste function is available on the Details tab of the [Deposit Batch] window. 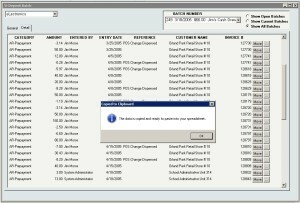 To copy the details, use the copy shortcut (CTRL+C) or click the Copy button on the InOrder toolbar. 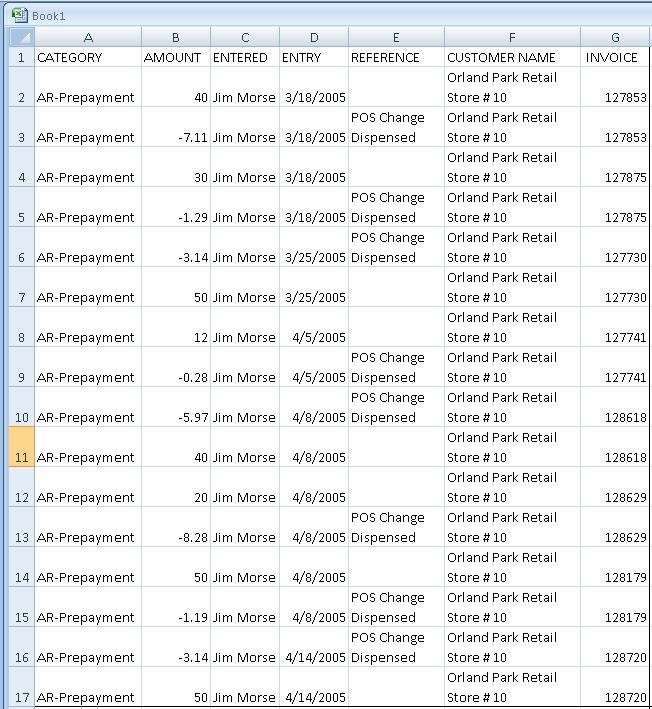 Then paste (CTRL+V) the details into the spreadsheet.